How to display a drupal block on a particular || specific page? Well, I wont say this is the shortest solution, but I guess for non-programmer it just might be the simplest and yet effective solution. 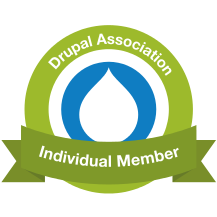 It's been quite sometime that I've really coded and since the time I came across Drupal most of my time has been in learning the admin part and so haven't quite got the time to dive into Drupal development. Anyway, I will try to explain you my trick using an analogy that I just encountered a short while ago. I was trying to configure the visibility of certain blocks related to the Organic Module. I wanted certain blocks to appear only on the Organic module and tried two solutions but they couldn't quite meet my need of the moment. 1. Show on every page except the listed pages. 2. Show on only the listed pages. 3. Show if the following PHP code returns TRUE (PHP-mode, experts only). We are going to use the 2nd option for our solution. The problem I encountered using this solution was that, since the group topics, are content-type, once i visited a certain group topi, the url would change to something like this ==> "www.example.com/node/12." Because of this using the solution ==> og/* was pointless. Then again I tried this solution using a PHP snippet from this website ==> http://geshan.blogspot.com/2009/11/show-drupal-blocks-only-on-specific.html, I liked his solution but it quite didn't fulfill my requirement. Select ==> "Show on only the listed pages."